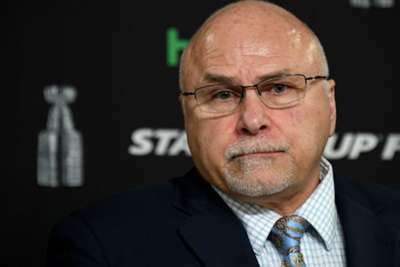 Barry Trotz has been appointed as the New York Islanders new head coach, just days after announcing his resignation from the Washington Capitals. Trotz guided the Capitals to the Stanley Cup earlier this month, but he ended a four-year tenure to join the Isles, reportedly agreeing a five-year deal worth $4million per year. He replaces Doug Weight, who was fired earlier this month by new Islanders general manager Lou Lamoriello. Trotz's arrival is expected to be the first of numerous big moves from Lamoriello, with reports suggesting progress in the Isles' efforts to re-sign captain John Tavares. The 27-year-old centre has spent his entire career in the organisation since being drafted first overall in 2009.